Xinjiang Uyghur Autonomous Region is located in northwest China and borders eight countries (Mongolia, Russia, Kazakhstan, Kyrgyzstan, Tajikistan, Afghanistan, Pakistan and India) as well as Tibet. Xinjiang is an arid region. Extensive stone and sand deserts, as well as mountain chains, occupy most of its surface. The majority of region’s inhabitants live in oasis towns and villages around them. The region had for many centuries been a contact zone between the Chinese empire and Central Asia. In the past, the network of Silk Roads crossed this area linking East Asia and Europe. Today, different ethnicities, nationalisms, languages, religions, political regimes, notions of connectivity, belonging and place meet in the region, coming into conflict but also cross-pollinating. Since 1949, the Chinese government has tried to influence the political and spatial orientation of Xinjiang and “turn” it eastwards, toward the national power-center in Beijing. 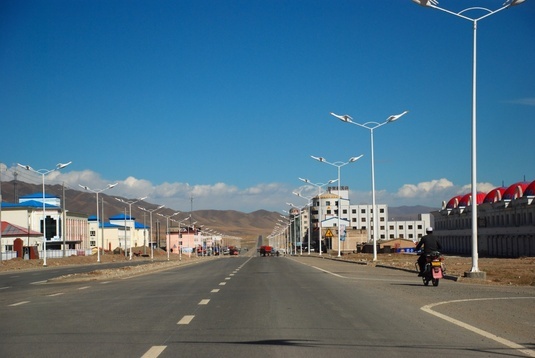 This has been attempted in various ways including through the construction of transportation networks designed to improve the connectivity between Xinjiang and eastern China. Nevertheless, more than sixty years later, Xinjiang still remains a crossroads of colliding ideas and regimes of belonging. The opening of Xinjiang’s borders to Central Asia and the increased circulation across them have deepened the “in-betweenness” of Xinjiang further. The project focusses on the intertwinement of roads and railways, spatial production and identity negotiation. It starts from the observation that road and railway construction has significantly changed the ways in which people of different ethnicities move within Xinjiang, between Xinjiang and Central Asia, and between Xinjiang and eastern China. The newly established forms of connectivity and mobility have affected processes of spatial production, spatial imaginaries, notions of belonging and also processes of boundary making. The increased connections with eastern China have enhanced the notion of Xinjiang as part of the Chinese national space. 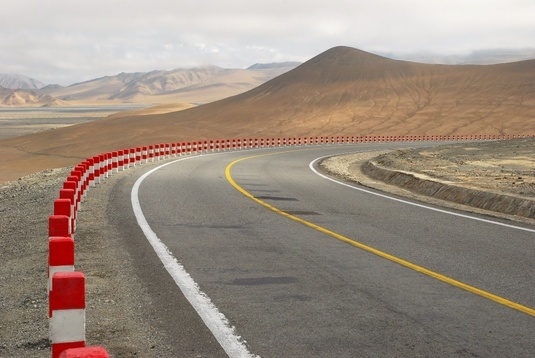 The increased connectivity westwards, on the other hand, has revived the spatial continuities between Xinjiang and Central Asia, especially for the trans-border groups such as the Kyrgyz, Kazakhs and also Uyghur. While some boundaries have become less rigid in the past twenty years, the process of increased mobility has strengthened others. It has also affected ways in which boundaries are performed. For instance, Han and Uyghur in Xinjiang use mobility-related discourses and ethnically-specific use of transportation to articulate and emphasize ethnic boundaries. Besides being inherently enmeshed in the processes of boundary negotiations, roads and railways also directly figure in the processes of place making. At one level, they are part of the state-conceived processes of territory. On the other hand, they are also part of the perceived and lived geographies. As such, roads are “multiple places.” They are invested with various meanings through the multiple spatial figurations in which they are entangled. As roads and railways channel flows of people, objects and ideas, they exert a powerful influence on the ways different ethnicities in Xinjiang imagine and inhabit place. The project will explore this multivocality of places, and discuss how transportation infrastructure and the selective connectivity it produces figure in processes of spatial imagining and in the making of communities of belonging. Joniak-Lüthi, Agnieszka. 2016. Blurring boundaries and negotiating subjectivities – the Uyghurized Han of southern Xinjiang, China. Ethnic and Racial Studies 39. DOI: 10.1080/01419870.2016.1161202. Joniak-Lüthi, Agnieszka 2016. Roads in China’s Borderlands: Interfaces of spatial representations, perceptions, practices, and knowledges. Modern Asian Studies 50 (1): 118-140. Joniak-Lüthi, Agnieszka 2015. Xinjiang’s geographies in motion. Asian Ethnicity 16 (4): 428-445.